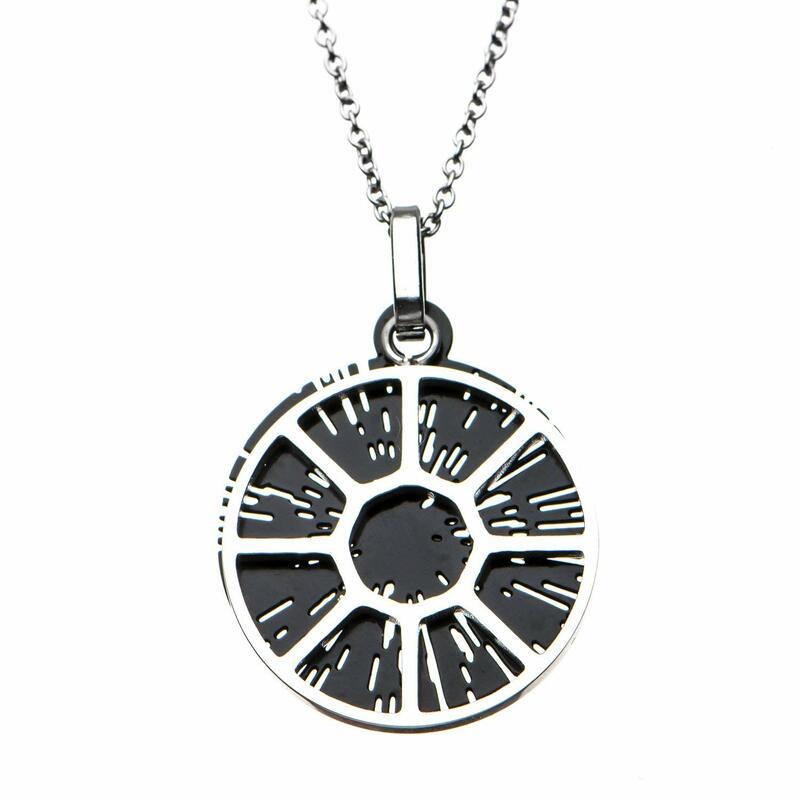 This Star Wars Cockpit Hyperspace necklace is available on Amazon. 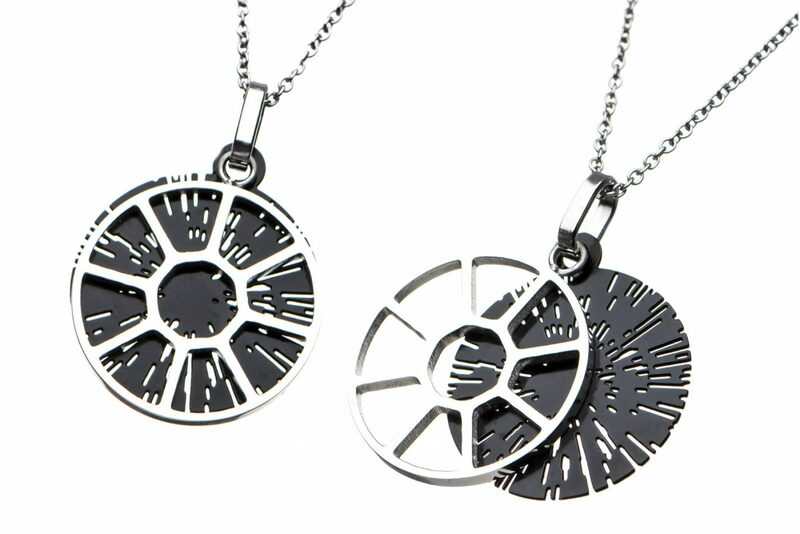 Made by Body Vibe, the silver-tone chain necklace features two pendants – a cut-out frame of a TIE Fighter cockpit, and a black ‘Hyperspace’ disc that sits behind it. I love the 3D effect of the two pendants – very cool! 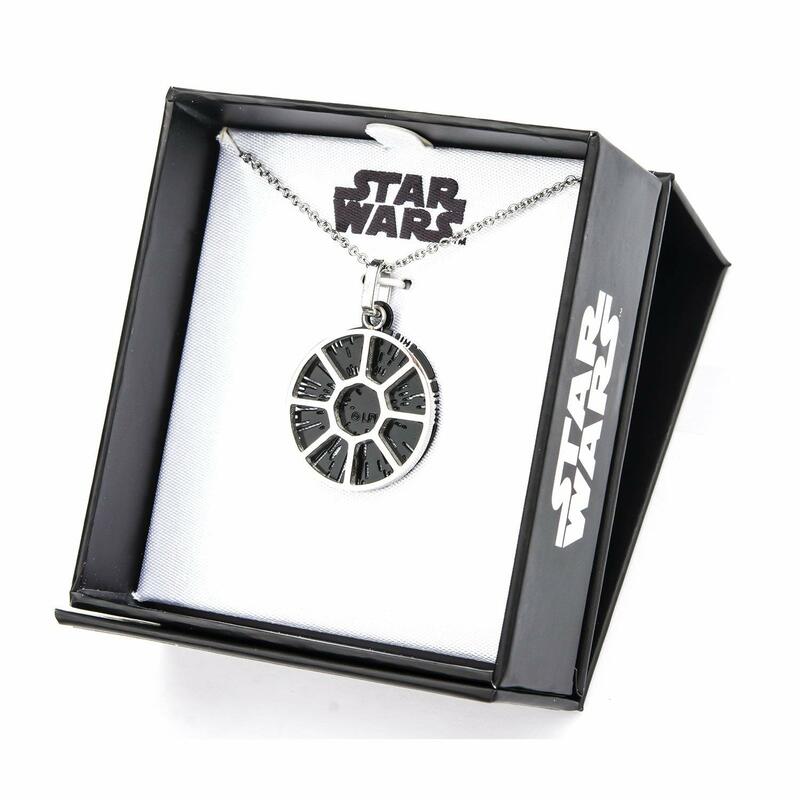 Wear your love of a galaxy far, far away with this attractive Star Wars necklace! 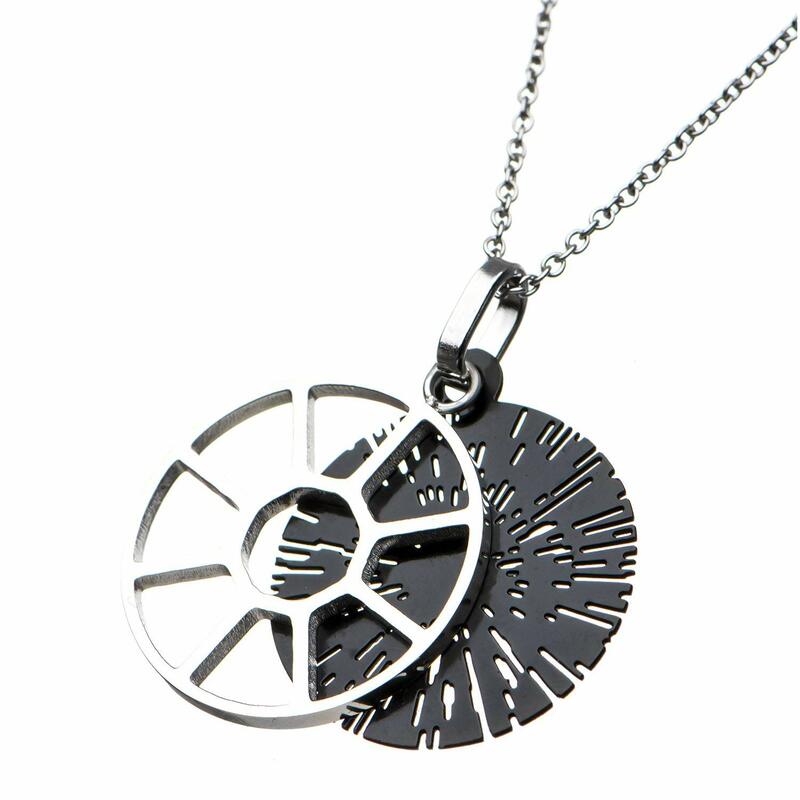 Made from Stainless Steel, this necklace features a unique pendant depicting a TIE Fighter’s cockpit window set against a field of stars! A unique way to show off your Star Wars fandom! Officially licensed. The necklace is priced at US$10.91 to US$28.99 each – shipping rates/polices vary by Amazon seller (overseas customers can order via a mail forwarding service).